Was Ron Paul’s 2012 Republican presidential nomination campaign sabotaged from within? Now that Mitt Romney has officially clinched the 2012 Republican presidential nomination, it is relevant to ask the question, was Ron Paul’s 2012 Republican presidential nomination campaign sabotaged from within? On the May 15, 2012 episode of Radio Liberty with Dr. Stan Monteith, Dr. Stan stated he was sure that they had infiltrated and neutralized Ron Paul’s political candidacy because he had called over 10 times to have Ron Paul as a guest on his 70+ affiliate radio program, and had offered to donate money, yet never received a single return call. 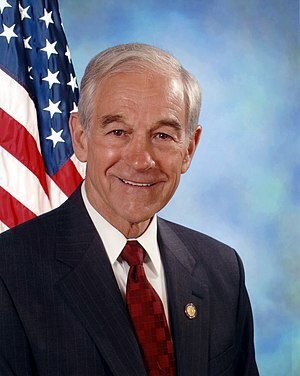 “The Ron Paul campaign is putting out some information about, this might be his last Moneybomb. Did you see that notation, Charlotte? … Well one of the top officials in the Ron Paul campaign — which I disagree with totally, they shouldn’t even print anything like that like that. That’s very discouraging to the grassroots supporters of Ron Paul. And to say in an email or something that this may be the last Moneybomb or something for Ron Paul or his legacy, talking about his legacy. I think it’s a little early to talk about his legacy when he’s making new history and new gains and he’s progressing every day. Lee Rogers of Live Free or Die Radio on Oracle Broadcasting has been at the forefront in the true alternative media in questioning whether Ron Paul’s campaign has been intentionally set up to fail, in saying that he wasn’t supporting Ron Paul in 2012 because of what happened in 2008. Lee Rogers is no armchair quarterback when it comes to Ron Paul, as he conducted an interview with him in the run-up to the 2008 campaign, and he later revealed that Ron Paul said he had asked him tough questions. Since Ron Paul didn’t win the nomination, the argument that Ron Paul should throw 9/11 under the bus again in 2012 is moot, since he didn’t win, regardless. On April 29, 2011, I posed the question, will Ron Paul throw 9/11 Truth under the bus again, like he did in 2008?, and was met with a mostly hostile reaction on RonPaulForums.com. While I didn’t hear of him throwing it under the bus in 2012, he also didn’t embrace it or even say that those seeking a full independent account of what happened on 9/11 had some legitimate points in doubting the official story. The fact that avoiding 9/11 Truth didn’t win him the nomination confirms the futility of that strategy, and the same strategy of any subsequent libertarian presidential candidate. To say that if he had embraced 9/11 Truth, he would’ve lost even more is like saying that it’s better to lose less in a contest where winning is the goal and there’s only room for one winner. Dr. Stan Monteith has said that “most of the conservative organizations have been infiltrated,” and I don’t think Ron Paul’s campaign is any different.